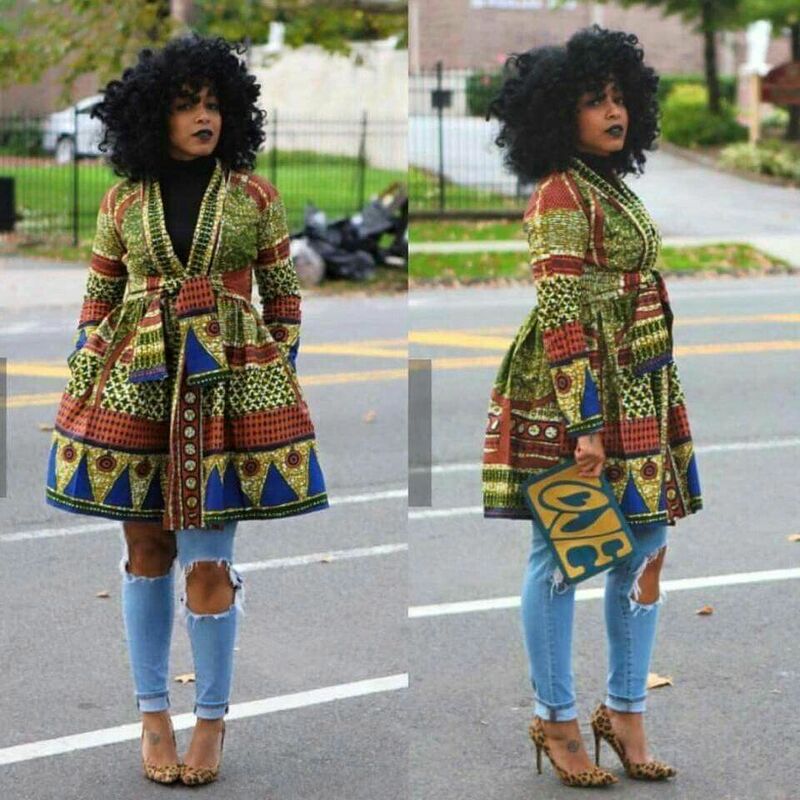 Kitenge Ankara Dresses for Young Girls – By the word Ankara, the only thing that comes up in mind is that ” Isn’t it the capital of Turkey! ” Yes, indeed it is but here Ankara is the name of the fabric that is worn by Africans. This fabric is also known as “African prints”,”African wax prints” “Holland wax” and “Dutch wax”. It is a 100% cotton fabric with vibrant patterns and made through a wax-resist dyeing technique called batik. Now let’s move on to the word Kitenge, it is an East African cotton fabric printed in versatile shades and designs, that are especially worn by women. 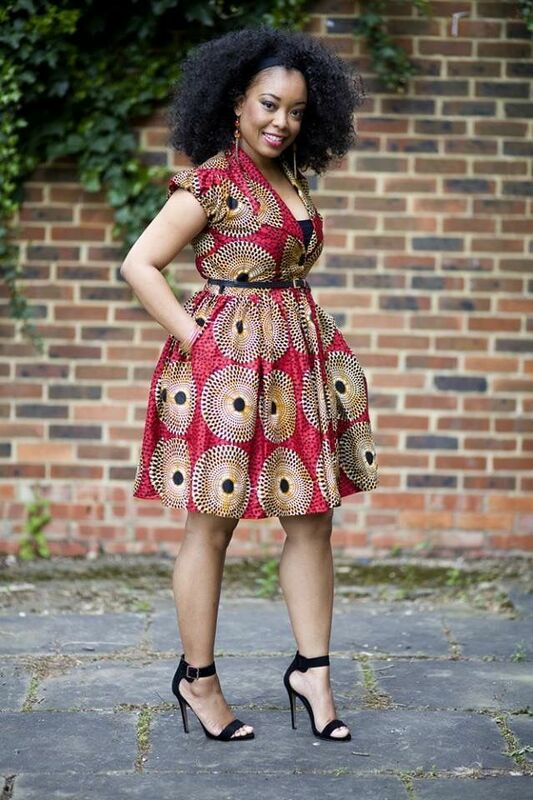 The fabric Ankara is also referred as Kitenge as it is one of the most popular adored attire today. 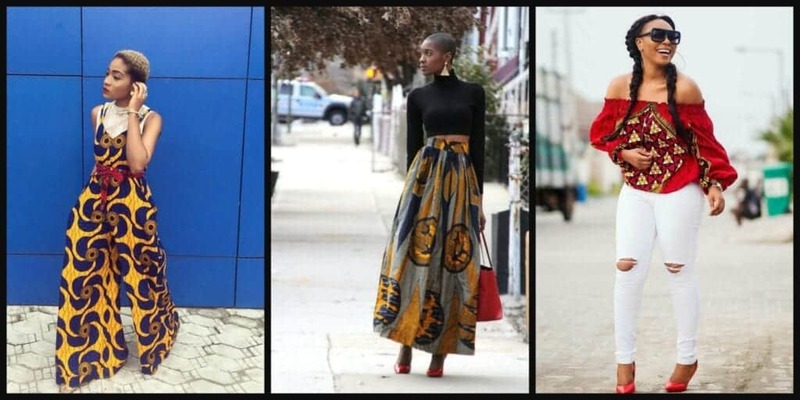 Make sure that you put on single tone shoes as you might have got the idea that the Kitenge Ankara is a printed, so putting on some muti-colores shoe over it would ruin the entire outlook. Don’t accessorize yourself too much, stay easy on the jewels as the fabric itself is having the broader and heavy prints, therefore, wearing heavy jewelry with it will look awful. Planning to make a new sapphire look for hanging out with friends on a sunny day then this look would perfectly fit in. All blue shades from head to toe are making a quite stylish look. The cut on the waist in the dress totally shows off the thin waist size that includes in as one factor for giving a style and attractive looks and the other one is the short length of the dress both of them will exhibit how curly the body is. Hairdo always compliments the dress therefore with Kitenge Ankara full braided African hair style will look superb as this dress belongs to the African continent but if one have got wavy or curly hair then can make a messy bun or let down their hair both of them will look great. Models below exhibits some of the fabulous hairstyles that one can opt for Kitenge Ankara look. Fishtail skirt or shirt or even a gown are the mainstream styles in Nigeria that are worn by many girls it. 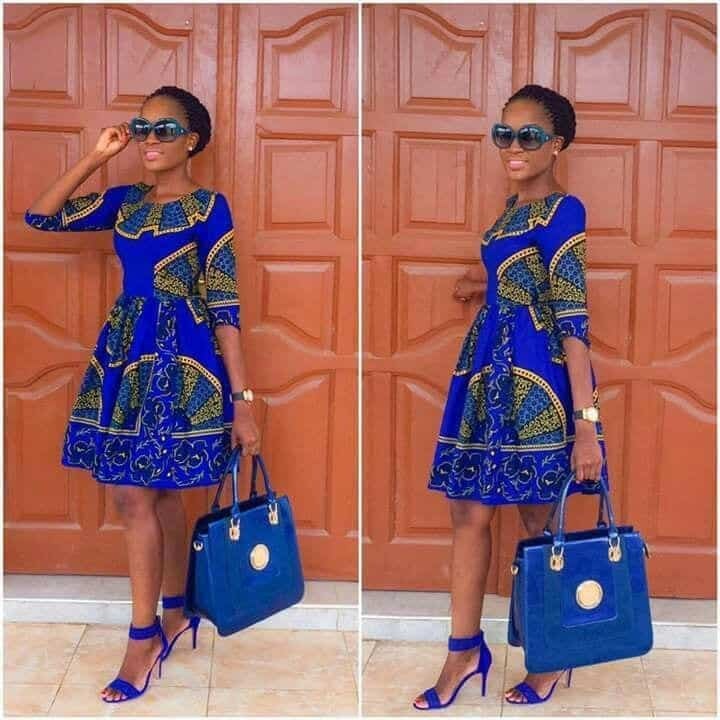 Planning to hang out with the friends or going to attend a late night party then this fishtail Kitenge dress style should definitely in one’s closet because the cuts done in this dress style are not that simple but they do one thing that they up bring the whole outlook of an individual. If want to be a fashionista the opt the styling ways the below models in the pictures have done. If it’s a late night party then one can opt for the shiny bold kitenge Ankara Fishtail shade as in the picture the model have worn gray, black and silver tone dress with silver tights, silver stiletto shoes and complimenting the whole look with the tight bun and long silver earrings. In order to have a cool casual look in the summer season then this is the right place you have reached because the Kitenge Ankara off shoulder tops are going to be the latest fashion trend in 2017 that one would love to wear. This tops would give a casual street style look. The advantage with the Kitenge Ankara tops is that one look quite an active and energetic.As whites are all time favorite, the model here is wearing a rose red color top with white ripped jeans with the red stiletto that makes her overall outlook superb.Thinking about shouts? Make sure that you plan out to wear a single shade of shout, with these off shoulder tops as the model’s exhibits if not then the whole fashionable look will be ruined. Indeed so nice!!!!!! where can we find them?